We are currently taking reservations for holiday photo booths in Chicago, the Chicago Suburbs and Rockford. 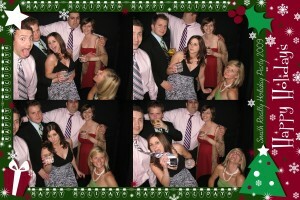 Check the availability of a photo booth for your holiday party here or give us a call at 877-492-6684. Mention promo code HOLIDAY11 and receive free Premium Graphics, Double Prints and Props!